2.1 To organise and co-ordinate training in engineering and other fields for whatever categories of employee the member companies shall require. 2.3 To co-operate with appropriate Education Departments and Further Education Centres for the provision of educational facilities. 2.4 To assist member companies in every possible way in achieving and maintaining a good standard of training. 3.2 Additional members may be admitted to membership by application to the group training manager, who will inform this to the Management Committee. 3.3 All firms in membership shall agree to continue in membership for a minimum period of three years. After completing two years' membership any member may withdraw by giving 12 months' notice to the Secretary in time for consideration at the Annual General Meeting. 3.4 Companies from other Training Groups may be admitted to Full or Associate Membership at the discretion of the Management Committee. 4.1 The scheme shall be controlled by a Management Committee composed of a senior executive of each member firm. 4.2 A Chairperson and Vice Chairperson shall be chosen annually from the member firms who attend the annual general meeting (Clause amended 04 November 2009). 4.3 The Management Committee shall have the powers to co-opt such members as they may consider necessary, for example, a suitably qualified person as Honorary Treasurer. Such members would have no vote. 4.4 Each member firm shall have the power to replace its representative on the Management Committee. They shall also nominate a representative to deputise for its regular representative. 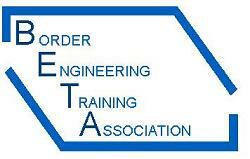 4.5 Responsibility for the day to day running of the scheme will be carried out by BETA's Group Training Manager reporting directly to the chairman and managment committee. (Clause amended 04 November 2009). 4.8 At all meetings each representative member shall have one vote, excepting the Chairman who shall have, in addition, a casting vote. 4.9 The Management Committee shall deal with all questions on membership and the appointment and conditions of service of the Group Training Manager and other staff. 5.2 In the determination of all questions under this section, only representatives of member firms shall be entitled to vote. 5.5 The Management Committee shall elect auditors. 5.6 Any assets of the Association at the time of dissolution shall be equally divided amongst the firms which are full members of the Association at the time of dissolution (Clause inserted 17 April 1969). The Constitution may be altered or amended at a meeting of the Management Committee called for the purpose, of which seven days' notice has been given, provided that such alteration or amendment is approved by a majority of those present. The Scheme may be dissolved at a special meeting of the Management Committee called for the purpose, of which twenty one days' notice has been given, provided that at least one third of the full member companies have requested such a meeting in writing. Such dissolution must be passed by at least two thirds (or the nearest whole number below this) of those present.